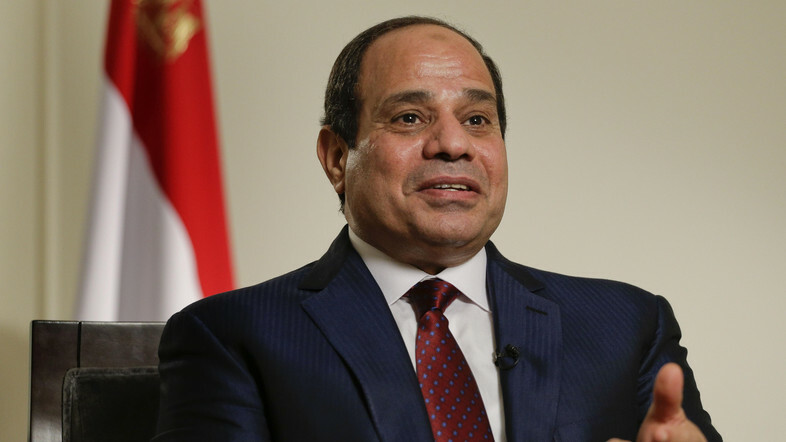 Supporters of Egyptian President Abdel Fatah El Sisi have launched a campaign aiming to gather 40 million signatures in order to extend his presidential term to eight years instead of four without going through the election process. The campaign, launched from the Minya governorate in Upper Egypt, has thus far gathered 120,000 signatures, according to campaign founder Yasser El Turkai. “Four years is not a long enough period to finish building a strong country, to judge the achievement of a president, and to fight terrorism,” privately- owned Youm7 quoted El Turkai as saying. He added that a board of directors has been formed to coordinate with all the governorates of the country and to gather signatures from citizens. The campaign dates back to 2015, when El Turkai launched a Facebook page named “Collecting signatures to extend the presidential term to eight years.” But it was not until last Saturday that an official petition was made public. The campaign has stirred controversy, as some claim it opposes the democratic principles and the constitution of the country. In a statement to the privately-owned Daily News Egypt, the official spokesperson of the Free Egyptians Party, Shehab Wagih, denounced the campaign as meaningless and aiming to create a negative stereotype about the current regime. “I don’t think that this campaign will see success; I considered it a ‘personal initiative’ that does not represent Egyptians,” Wagih said. The same founder of the 40 million signatures campaign, El Turkai, is a former Morsi supporter, according to Daily News Egypt. El Turkai had launched another campaign in 2013 to support former President Mohamed Morsi’s claim to power and to unite the people behind him, upon calls for Morsi’s dismissal at the time of the June 30 uprising.